Recently, I had the opportunity to interview over 30 students concerning their individual struggles in implementing Ayurveda into their lives. Again and again, the students revealed that they felt confused and unsure about their constitutions. This was in spite of the fact that many had previously studied Ayurveda and/or taken online ‘guess your dosha’ tests. It reminded me that I, too, had taken many online tests and struggled for years to determine who I was according to Ayurveda. There were some questions whose answers jumped right out, things that I was certain about. Other areas, such as my digestion, elimination, weight and certain aspects of my personality, remained a mystery. When I finally had a personal ayurvedic assessment with my teacher, I vehemently disagreed when she informed me that I had more Pitta and less Kapha than my self diagnosis. Looking back, the intensity with which I disagreed with her assessment only validated the predominance of Pitta she spoke of. 1. Quizzes are reductionist. All three doshas exist in varying degrees in each individual. 3. They provide a snapshot of whats going on for you right now, rather than your long term patterns. 4. They don’t take into account how your current diet, lifestyle, age and environment affect your dosha. 5. They play to our tendency to answer based on an idealized versions of ourselves, i.e., who we want to be rather than who we are. Truth be told, online tests rarely reveal who we really are. I equate dosha tests with a daily online horoscope. There are 12 zodiac signs and 9 billion people. Your zodiac sun sign is a general way of describing you. It’s not accurate, it can’t be, as it simply doesn’t take into account your unique personality based on all the planetary alignments at the exact time you were born. If you’ve ever had your complete natal chart done, you provided the astrologer with all the information needed to precisely determine who you are. The same professional assessment, based on the necessary information, offers a deeper understanding of your dosha. Online tests don’t provide a context that outlines the specific role the doshas perform. Vata manages Air and Ether and is responsible for all our physiological functions, like thinking, moving, speaking, breathing, digesting, eliminating and more. 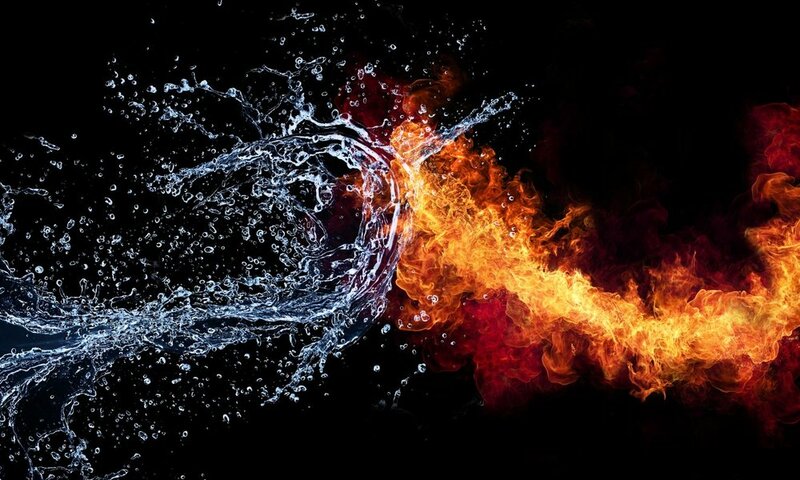 Pitta manages the elements of Fire and Water and is responsible for converting and metabolizing food, sunlight, visual impressions, thoughts, etc into a form our body can use. Kapha manages the elements of Earth and Water and is responsible for our physical structure, such as skin, muscles, bones, organs and all fluids in the body. Your constitution (prakruti) defines your unique Psycho-physical makeup and functional habits. In other words, it describes your healthy long-term patterns. The doshas, however have unlimited ways of expressing themselves, hence why we call Ayurveda an individualized system of classification. What works for one person may not work for someone else. To truly get a sense of who you are requires an analysis of your physical, functional, mental, emotional and spiritual layers. Far more than just your appearance, your regular long-term patterns of diet, lifestyle, relationships and the many ways you interact with your environment are assessed. The goal of an Ayurvedic practitioner is to identify and treat the presenting pathology (vikruti) as well as the root cause of disease. Once the pathology has been balanced, your constitution will reveal itself. For example, if you frequently experience digestive symptoms of bloating and gas, this is an imbalanced aspect of Vata dosha. These symptoms, (vikruti) mask your deeper, more permanent constitution( prakruti). The root cause of your symptom may be what you are eating, or it may be driven by other factors such as your emotions. What we currently present, is what we mistakenly associate as our constitution, when in actual fact its the imbalances that are masking our constitution. Simply put, what we currently present may not be who we truly are. Think about it. How well do you truly know yourself? Its taken me ages to get a better understanding of who I am…and truth be told, even now, my husband, friends and mother see aspects of my personality that I am still unaware of. I have concluded (reluctantly) that I may not always be the best qualified person to assess who I am. This fact, combined with my deep respect for this modality, is why I have an ongoing relationship with a professional Ayurvedic practitioner. Your dosha describes everything about you. I liken it to a road map to wellness and disease. It can reveal everything about you, including physical and psychological functions, psycho spiritual aspects, personality, health challenges, exercise preferences, choice of friends and partners as well as how you dress, spend money, furnish your home, optimal career choices, preferred climate, physical environment and more. Clearly, there is no way that a dosha test can determine those aspects of you. Its a wonderful fun way to play and get an idea, but its not complete, because you are a wonderful complex unique individual. Online quizzes are simply not the standard for dosha analysis, so don't be surprised if your practitioner tells you your dosha is different from the results of your self-test. Consider or revisit an online test you may have taken, what does it say about you. Were you able to use the assessment to make changes and improve your life? Have you ever consulted with an Ayurvedic practitioner and if so was their assessment different to yours? Let me know your experiences by leaving a comment on the blog. Let me know if you may be interested in my upcoming online course “Discovering your true Nature” an in depth Ayurvedic assessment to understand your constitution coupled with individual coaching with an Ayurvedic Practitioner. ….. I hope that you find this blog interesting and that you’re curious to find out more. Please leave a comment on the blog and share your challenges and successes when taking an online dosha test. Ayurveda makes a bold statement…“ You, the individual, have to digest everything that comes in”. Our bodies are amazing. Think about it for a minute, Your digestive tract has the ability to break down that veggie burger, salad, chocolate, xmas cookie or whatever food you ingest into a liquid to feed your body. Our diet builds the physical body, mind, emotions and spirit. All aspects of human functioning are intelligent, in constant communication and operates much like a vast network. Your mind also has to digest everything that comes in through your senses. They are the portals or entry points through which we take in experiences. The mind downloads all sensory input. It then assigns it meaning, reference and emotions based on your family, friends and societal conditioning. In a way, what we let in determines our view of reality. What are you letting in? How are you building your picture of the world? Who is in charge of your attention? Do you control where you put your attention or are you at the beck and call of social media? Is your world view determined by outside forces? Oh, and what about your emotional state? Are you happy, optimistic, mentally flexible? What are your relationships like? Are you able to have conversations, or do you have a fixed, rigid perspective? Time to take responsibility for your life and outlook. The goal of Yoga and Ayurveda is to create a healthy vibrant focused mind and body. Great emphasis is placed on the individuals power to choose what we let in. Our choice of where we put our attention, shapes our mental and emotional health. Positive input creates a happier mind. The word responsibility contains the word “respond” when we respond in the same way to a situation, we will get the same results. But, when we take a different approach, then we create something new. Our mind becomes more adaptable and plastic…we create new things and in the course of taking new action we become empowered. The goal becomes one of moderating what you let in and what you keep out. Corporations, governments and some bloggers, make lots of money by pushing an agenda that shapes your view of the world. When our attention is outwardly focused, external events create our reality. We look to the outside world to determine if we are thin enough, rich enough, young enough and so on…However, when we learn to turn attention inwards and focus the mind, we become creators. Bottom line you need a little bit of both, attention in and out. The path of Yoga and Ayurveda is one of moderation, enquiry and a cultivation of positive emotions…As the old saying goes. “a life unexamined is a life not lived” or something like that. 1. Start your day with a nurturing practice. Do something for you. My morning rituals include, sitting in my garden, drinking my morning cup of coffee, whilst mentally giving thanks for the blessings in my life. I meditate for 30 minutes and then take Ruby my pooch on her morning walk. Then I’m ready to enter the world by reading emails and social media. I have found that limiting myself to 20 minutes of news per day works for me. How you start your day determines your outlook for the rest of the day…what can you do that makes you feel great? Pick one thing and practice it regularly for 30 days. Happiness is infectious. People who exude the traits you love, rub off on you. I have the good fortune of sharing my life for 13 years with my husband, Robert, who has a light and happy heart. Thankfully it has rubbed off on me!!!! Cultivating a happy optimistic perspective, means that I always expect things to turn out well. It’s a practice that I cherish. 3. Count your blessings and bring meaning into your life “Every cloud has a silver lining”…yeah but when I’m in the thick of my stuff, I just can’t see it. Everything I have read, and immerse myself in, suggests that happy positive people lead healthy, creative, abundant lives. This is my life’s journey. Every day, I give thanks for all the wonderful things that I have in my life. I go through a mental list and have consciously cultivated a happy, optimistic outlook on life. The current science and thinking states that we are both the observers and creators of our world………ready!!!!!! If you want to learn more please visit our website www.bellymindinstitute.com for upcoming Ayurveda workshops and trainings. The goal of the medicine chest is to introduce you to the wonderful world of herbs and their many uses. Herbs have traditionally been used as foods, supplements and to cure ailments. Their use can help support your health from a very basic level, just as foods do. In the late 1800s and early 1900s, you could walk into a drug store in the United States and find hundreds of herbal extracts for sale. Upwards of 90 percent of the population at that time knew how to use the medicinal plants growing in their backyards to treat common illnesses and injuries. Sleep is one of the three pillars, that form the foundation of high level health. The other two, Proper Food, and Energy Expenditure will be discussed in further articles. In this article, we will explore the benefits of sleep and how we can create routines to support ourselves in this area. Proper rest is essential for well being. The body utilizes sleep as an opportunity to heal and repair the damage done while we are awake. The quantity, quality and regularity of sleep is important. Too much or too little sleep will negatively impact the quality of your daily energy. Let’s face it most of us are sleep deprived due to the demands of modern living. Did you know that adults need 8 hours sleep nightly and that babies and teenagers need more? Inadequate sleep over a long period of time, reduces the body’s immune system and increases the inflammatory response. Oh, and let’s not forget, the constant fatigue and mental fog. The good news however, is that adequate sleep, about 8 hours nightly increases, IQ, reduces the inflammatory response, increases immunity, and makes you look and feel amazing. In previous, articles, I said that each dosha comes with its own unique gifts and challenges. The goal of Ayurveda is to pacify and reduce the imbalances, bringing each of us closer to our healthy selves. This fundamental concept is profoundly empowering. What we do daily will either aggravate or reduce a condition. Let’s look at how each dosha is affected. Vata dosha tend to be light sleepers, who are sensitive to noise. They awaken easily, most often between the hours of 2-4am and have difficulty falling back to sleep. When they do its usually between 5-6am and then they tend to oversleep. They wake up tired and use coffee and energy drinks to keep them going throughout the day. Too little sleep increases the light, mobile qualities of Vata dosha. The effects can be, weaker tissues/body, an aggravated nervous system, and a lowered immunity. Pitta types tend to be good sleepers unless they have too much on their minds and stay up late working on projects. They feel their most productive or get a second wind late into the evening and early morning. This tendency to stay up late causes them to burn out, becoming overly intense, grumpy, and possibly angry. When they do get to bed, they toss and turn, reviewing the things they haven’t done or need to do. This aggravates their already hot, light, mobile qualities. Kapha dosha tends towards too much sleep. They have difficulty waking up and moving. If they didn’t need to get up early, they would likely sleep in until 9-10am. Upon waking, they may feel sluggish and reach for coffee to get going. Excess sleep increases their heavy, static qualities. Commit to a regular bedtime, meaning lights out between 10-11pm. Wake early. Kapha by 6am. Vata and pitta by 7am. Eat your dinner at least three hours before bedtime. The body does internal cleansing during sleep. Disconnect from all electronic media (TV, computers, phone, iPad etc.) a few hours before bedtime. Burn essential oils like lavender or chamomile. Drink a cup of chamomile tea or a cup of warm milk with 1/2 tsp of fresh nutmeg and honey. Do Abhyanga followed by a warm bath. Pay special attention to oiling the feet and scalp. Doesn’t that sound great? Sweet Dreams! It's summer and most of us will take a trip. Travel whilst exciting, with its new places, people and things can be destabilizing and increase our Vata (the force of movement). Go Have fun, but create some daily rituals that will give you stability and routine. 1.Before you drive or fly indulge in a long oil massage or Abhyanga and let it soak in for at least 20-30 minutes. 2. Make sure to lubricate all openings in body, think, ears, nose, lips, belly button, and top of head. Oil is heavy and moist. It pacifies the nervous system and guards against the dryness of air travel. 4. Your thermos (a girl’s best friend). I usually bring some fresh shredded ginger in a plastic bag. Place the ginger in the thermos, give to the flight attendant to fill with hot water and sip throughout the flight. Ginger tea is warming and improves peripheral circulation. 5. Sleep: I use ‘Sleep Easy’ from Banyan Botanicals. I find 4-6 pills gives me 6 hours of deep sleep. 6. Drink plenty of water and stay hydrated. 7. Try to take only warm food. 8. Make sure you stretch. I go to the back of the plane and do my stretches a couple of times during a trip. 9. When you arrive at your destination, stick to the local time. In the evening before bed, do a long abhyanga and take 1 tsp triphala with warm water. The abhyanga will ground you and the triphala will ensure regular bowel movements. Turmeric is a member of the ginger family. This is one of my top 5 herbs that I use daily and prescribe widely to my students. Every person should consume this herb as a food and supplement daily. It has so many wonderful benefits. Current studies have confirmed its cancer reducing, anti inflammatory effects, along with its use in thetreatment of benign tumors. This is the original recipe given by Yogi Bhajan to my Herbalist teacher KP Khalsa which I share with you. I make this tea during those cold wintery days. I love the spiciness of the tea and usually drink the herbs, minus black tea or milk. Ayurveda recognizes that a vast majority of diseases are caused and/or exacerbated by improper digestion and metabolism. Despite the fact that food is life-sustaining, many of us see cooking and eating as a chore. We choose dining out over lovingly preparing nutritious meals at home. Our understanding and relationship with food has been reduced to comfort, calories, and convenience. Ayurveda is a complete system of wellness, based in the natural world. The Ayurvedic view of the world and the human system is richly metaphorical and scientifically precise. Ayurveda views all matter as composed of five basic states, often called elements. These are the building blocks of everything that exists, including ourselves. Previously, in the article What is Ayurveda, I laid out the cosmology upon which Ayurveda is based. In short, this ontology views the material world as a duality comprised of both spirit and matter. The body, mind and emotions are seen as part of the material world, constantly changing and subject to different rates of change. Ayurveda, (Eye-Your-Veda), Yoga’s sister science is a 5000-year-old holistic health system based in nature. Its primary tools are food, herbs, oils, cleansing, lifestyle, and education, each adapted to an individual’s unique constitution or body type. Ayurveda is classified as a ‘complementary health approach’ by the National Center for Complementary & Integrative Health (NCCIH). One who is established in self, who has balanced doshas, balanced agni, properly formed dhatus, proper elimination of malas, well functioning bodily processes and whose mind, soul and senses are happy is called a healthy person. This quote from the Sushruta Samhita, one of the classical Ayurvedic texts summarizes the Ayurvedic model of health. The definition is both philosophical and functional in its understanding of the individual constitution.